Ventilation: To allow fresh air into the cab, open the front edge of the Front Doors by pulling the flap back and securing it. Unzip the Rear Curtain and roll it up. 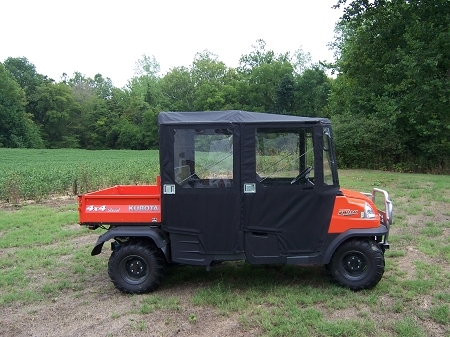 Cab can be used as Canopy by removing the doors and rear curtain. Includes hard (0.177 thick Clear Polycarbonate) front windshield. Hinged doors for quick and easy access.